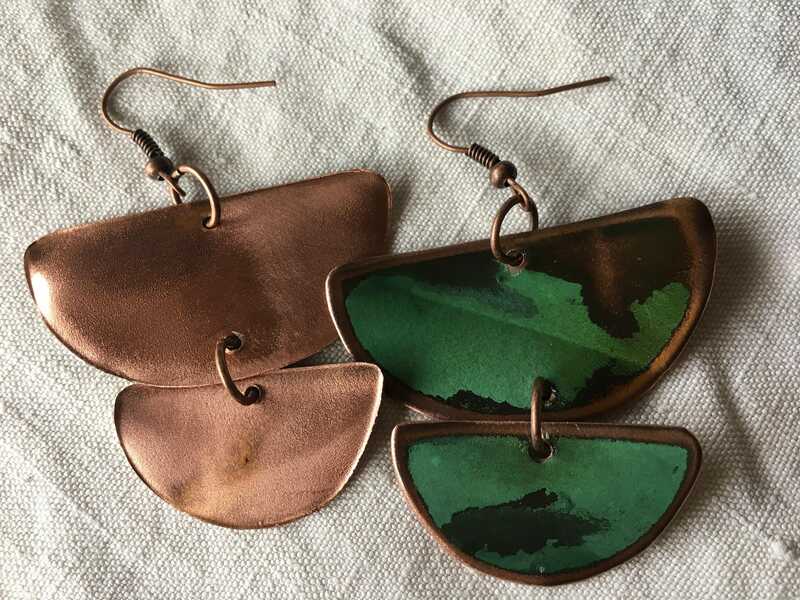 Made from 100% copper roof tiles salvaged from Tacoma, WA's Old City Hall Clock Tower have been turned into artisan jewelry. 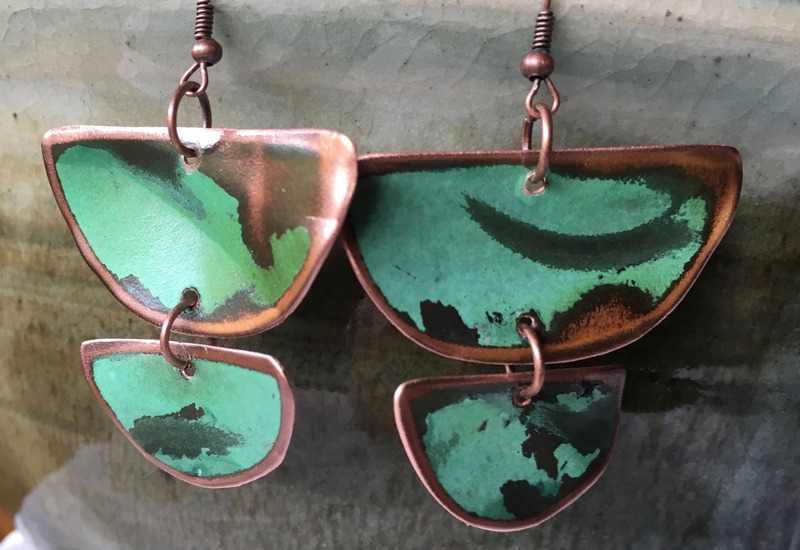 The bold patina is a result of elemental exposure since 1898! Wear a piece of History, Architecture, Environment and Art from the Pacific Northwest. This is a basic design, photo is representative and may not be exact. Size, Shape, Color and sheen will all be similar but with this type of material, there may be variations.